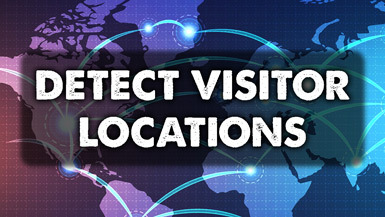 Enable your website to detect and grab a visitor’s geo-location. Once detected, the visitor’s location will automatically be inserted into the location search fields on your website. 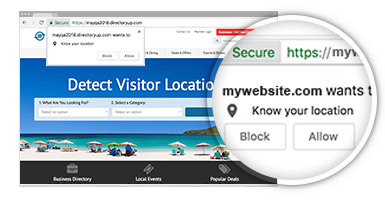 The Detect Visitor Locations add-on saves visitors an extra step by automatically using their current location when conducting local searches on your website. NOTEIn order to utilize this add-on, your website requires a secure HTTPS connection. You can get an SSL Certificate HERE if your website does not currently have one.